Per Wikipedia, image is public domain. The thing about science is that, at this point, changes occur seemingly constantly. 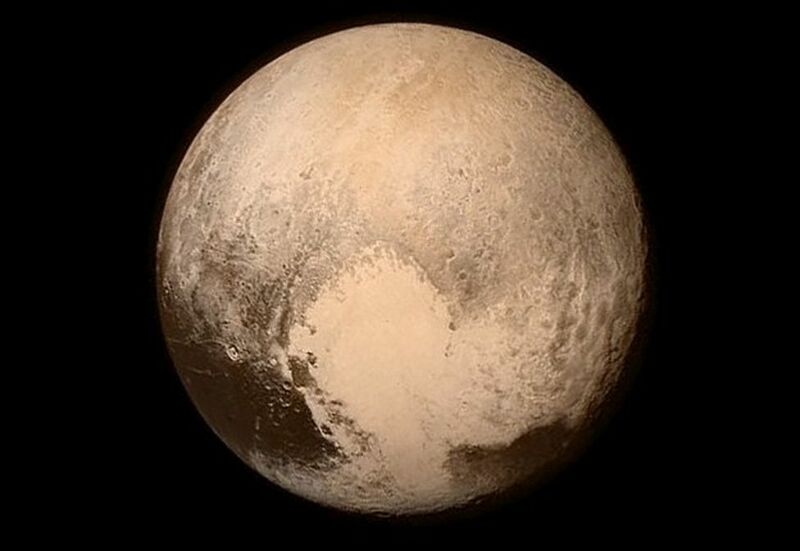 Two hours ago, I posted about Pluto. While we’re waiting for information (head to New Scientists’s live blog here), another major discovery hits my stream. It seems that scientists at the Large Hadron Collider have confirmed the existence of a new form of matter consisting of five quarks. I doubt this will affect your lives directly, but when the next best thing in air travel, computing, or microwave ovens hits your local electronics store, you’ll be glad they made this discovery. So will the patent lawyers.